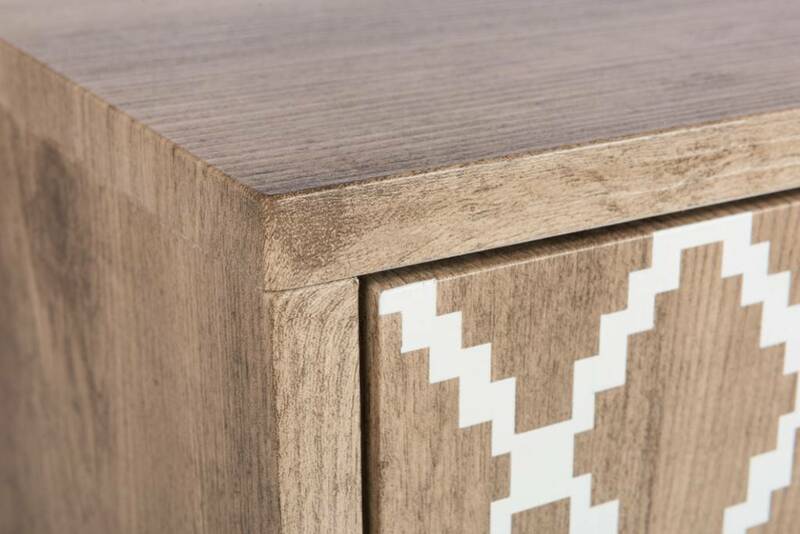 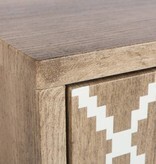 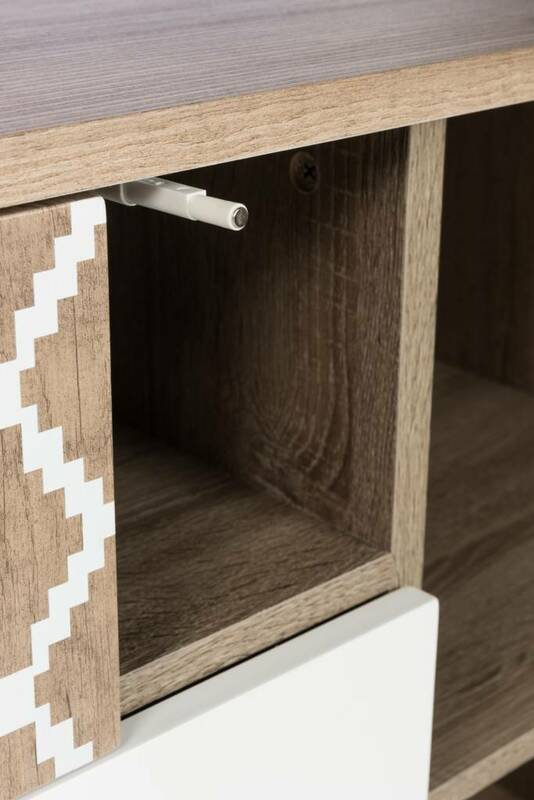 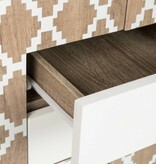 Wooden cabinet with unique diamond design. 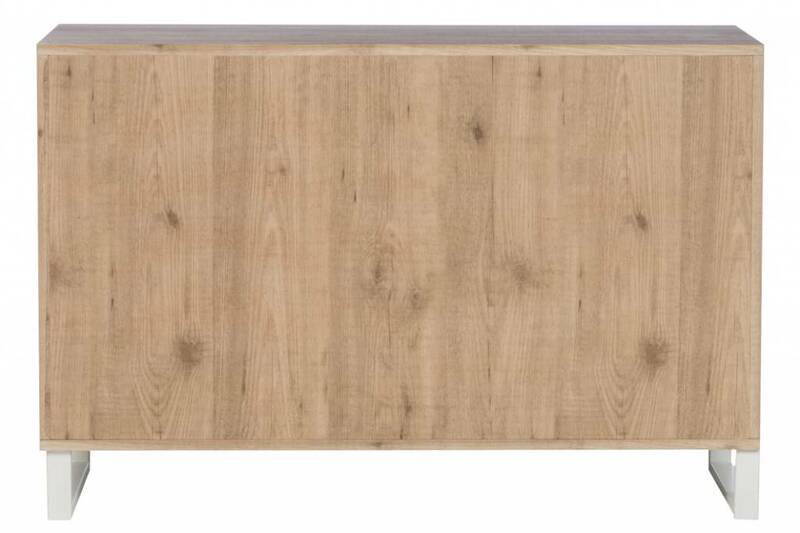 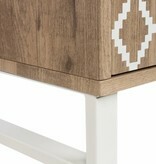 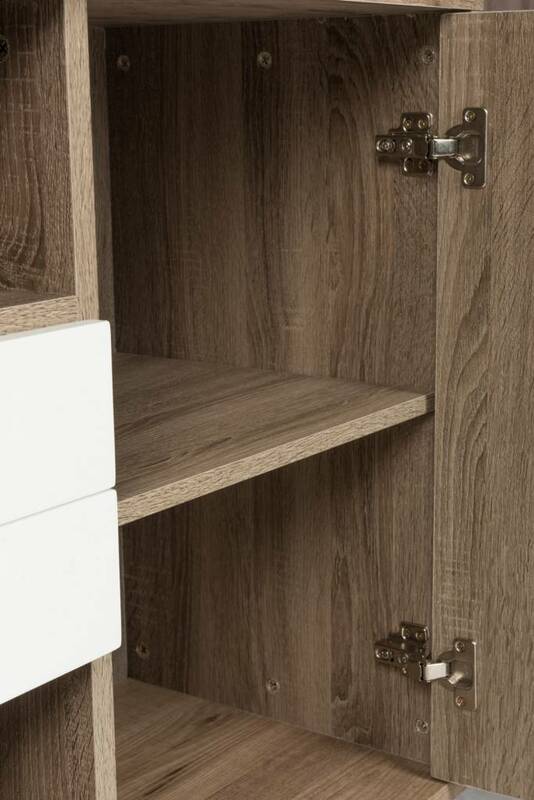 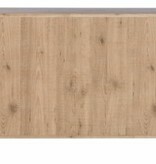 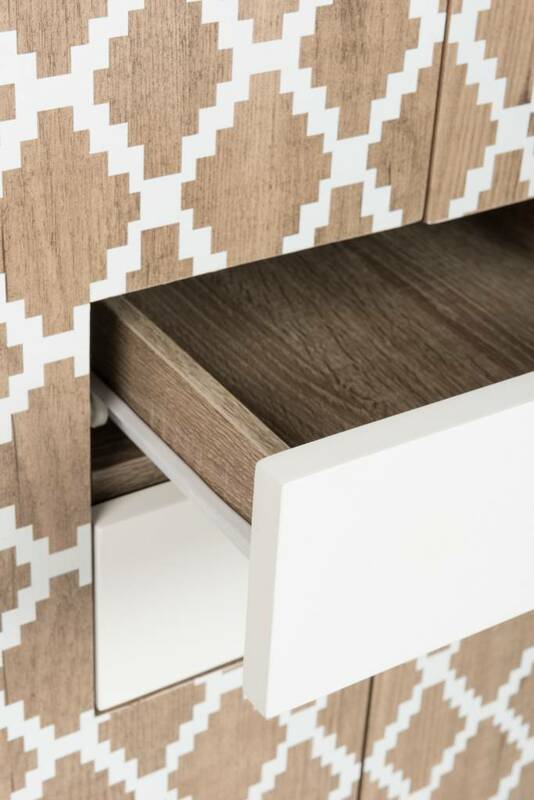 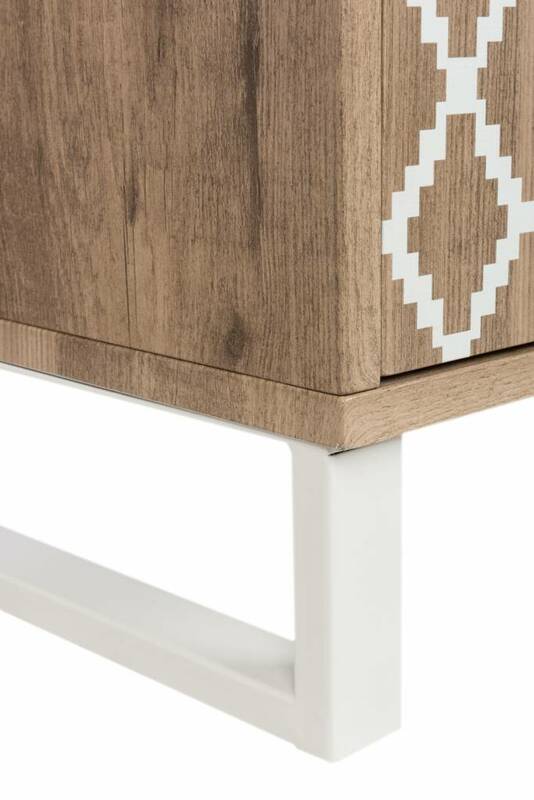 The 2 drawers in the middle are very practical and give the cabinet a fun touch. 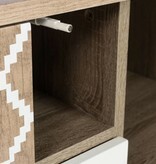 Inside the cabinet has several campartments. 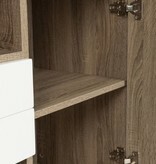 The doors have a soft closing system and no handles.